Do you want to buy or sell a property in Drouin? To help you through the legal process of transferring the property ownership, you’ll be needing professional conveyancing services, and at conveyancing.today that’s what we do best. We remove all the guesswork and uncertainty from transferring property ownership by taking you step-by-step through the whole transaction process. If you’re not unfamiliar with the necessary paperwork and legal procedures, you may experience delays. But working with the right conveyancer in Drouin, you can save both time and money. We’re able to offer competitive fixed price conveyancing for almost all jobs. Transferring ownership of property into your name or out of it requires necessary knowledge and strict attention to detail, especially to get it done right the first time. As the most experienced conveyancer Drouin has to offer, we offer reliable and efficient assistance with property transactions. From contract negotiations to dealing with banks and undertaking the right searches to protect your interests, we’re focused on you and your needs. 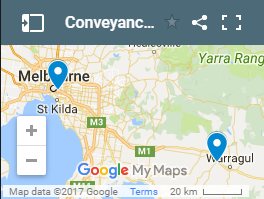 As a Property Exchange Australia (PEXA) member, we can offer you a streamlined service using PEXA electronic conveyancing transactions. On-time settlement and quick access to cleared funds are just some of the major benefits of PEXA. As the leading conveyancer Drouin wide, we recognise that you are the most important person in the transaction process, which is why our main focus is to ensure that everything is kept quick, simple and stress-free for you. As a small and dedicated conveyancing a practice, we have the ability to focus on your specific property sale, protect your interests and keep you up-to-date throughout the entire process. From our initial consultation with you, we will advise you on your specific conveyancing matter, taking into account the individual circumstances of your matter. Decisions involving property can often be life-changing. To help you to make these important decisions, our team at conveyancing.today take care of all the legal elements with the assistance of in-house solicitors. We’ll make it easier by explaining the process in a simple manner our clients can understand. Whether you’re buying or selling a property, our property transactions experts are here to help you in realising your dreams. Rest assured that your transaction is in safe and capable hands with our skilled and experienced Drouin conveyancers and solicitors overseeing the process from start to finish.